Following a quayside pick-up we drive northbound, crossing Auckland Harbour Bridge. Leaving the city behind the scenery quickly becomes ever more rural, as houses yield to farms, country villages and national parks. In the charming hamlet of Puhoi you’ll discover some of New Zealand's most beautiful settler-era buildings; including the world-famous Puhoi Pub and possibly world's smallest library! Next stop is the Honey Centre; boasting NZ’s largest display of live bees and a huge range of native honeys for tasting, plus a wide range of honey-related skincare products, ointments, and giftware. 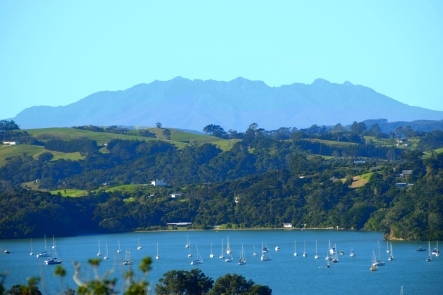 In Matakana village discover how local entrepreneurs have turned a quiet village in to a thriving artisan community – with its boutique shopping, art galleries, local crafts and a vibrant market (Saturdays only). 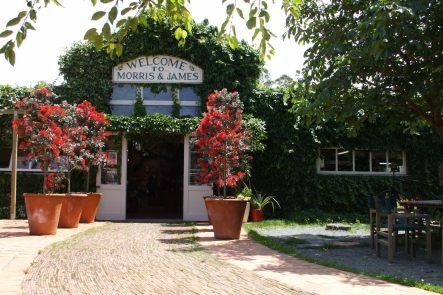 Next at the Morris and James pottery during an informative and enjoyable 30-minute tour you’ll learn how local clay is used to create beautiful, handcrafted pots, wall art and sculptures. 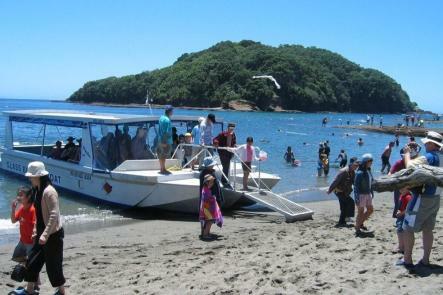 After a lunch in Matakana or the picturesque town of Warkworth (own expense), we visit the Goat Island Marine Reserve. A huge variety of marine life is routinely spotted at Goat Island, including dolphins, orca and whales. To witness this at close quarters a 40-minute trip in a glass-bottomed boat is included. 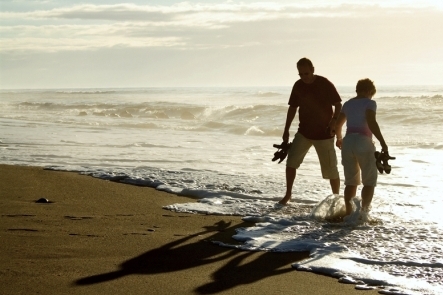 Later, choose to relax on the shore or swim from the sandy beach. In the event of inclement weather the tour at Goat Island may be replaced with a visit to the excellent Sheep World in Warkworth.